BELGRADE (Sputnik) - The prime minister of the self-proclaimed republic of Kosovo, Ramush Haradinaj, said on Wednesday that the future Kosovar army would serve in Afghanistan and Iraq and would not threaten the North Kosovo Serbs. "We will not create the army for the north [predominantly inhabited by the Serbian population], it is a pure lie. Our army will serve in Afghanistan and Iraq to help world peace," Haradinaj said, as quoted by Gazeta express newspaper. In October, the parliament in Kosovo voted to change the mandate of the Kosovo Security Force (KSF). The country's national army will be officially established on December 14. The Kosovar army will reportedly consist of 5,000 active soldiers and 3,000 reservists, and will receive 300 million euros ($340 million) in funding over three years to equip and train its forces. Pristina currently does not have its own army. 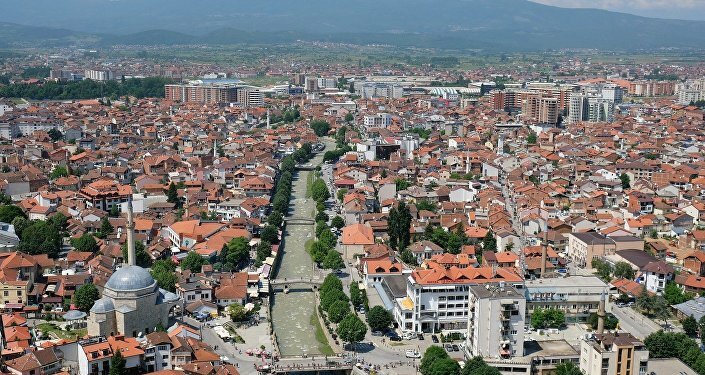 Belgrade actively opposes its creation, citing UN Security Council Resolution 1244 on settlement in Kosovo and Metohija. Kosovo proclaimed its independence from Serbia in 2008 and was recognized by over 100 nations. Serbia, however, continues to consider Kosovo as its territory.